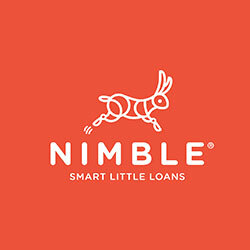 Nimble, an Australian short term cash loans provider, was launched in 2005 with the mission to offer a simple and truly stress-free way for people to borrow money. With its straight forward process, and facilitated by smart technology, the startup grew into one of the well-known credit providers in the country. With the help of CloudBasic’s database server replication tools, the company optimized its IT infrastructure in the cloud and overcame the native AWS RDS Multi-AZ limitations. Nimble is an Australian Fintech company with a technology solution that facilitates fast and easy consumer loans based on alternative data sources and straight through processing. Members can get short-term cash loans, up to $5,000, with a paperless application, decision within minutes 24/7, payments within the hour, and flexible repayment schedules. What helps borrowers avoid the traditional paperwork and the inconvenient face-to-face meetings with bank loan officers is the smart technology built into Nimble’s platform. Its sophisticated decision making engine uses many data points to determine an applicant's suitability for an unsecured loan. Since its inception Nimble has made over a million loans and has become one of the leading credit providers in the unsecured consumer credit industry in Australia. As the Nimble platform continues to improve, and new members continue to join by the thousands, the security and availability of the company data became increasingly more important. With a large volume of transactions processed in real time 24/7, the IT infrastructure must be robust and efficient, employing high-availability and disaster recovery means. Amazon’s on-demand cloud computing platform seemed the perfect fit for Nimble. AWS’s global infrastructure has several regions in the Asia-Pacific, with one conveniently located in Sydney. The Nimble technology team had a requirement to offload a portion of the primary SQL Server traffic but was unable to achieve this with AWS RDS for SQL Server out of the box. With CloudBasic RDS Multi-AR on AWS, first the company was able to seamlessly migrate terabyte size RDS SQL Server databases by maintaining continuous schema replication and keeping large amounts of data in sync over time, and second offload primary RDS SQL Server and create multiple readable-replicas for High Availability (HA). CloudBasic’s RDS Multi-AR for SQL Server overcomes AWS RDS Multi-AZ limitations by creating fully accessible read-replicas, allowing offloading of primary DB servers by routing heavy read-traffic to the read-replicas. With CloudBasic’s RDS/EC2 SQL Server replication solution, specifically designed for the cloud, Nimble was able to optimize its cloud infrastructure and benefit from features not available in a standard RDS Multi-AZ configuration on AWS. The fully accessible read replicas can be used in a number of scenarios, from serving data to read heavy reporting applications, to a comprehensive Disaster Recovery scenario. The Nimble Technology team has already deployed a multi-zone CloudBasic RDS Multi-AR based HA/DR solution. Going forward they have the option to deploy a multi-region, and even multi-cloud HA/DR solution. Leverage the cloud at its best! For more information about CloudBasic and its cloud technology products and services, please contact CloudBasic. RDS SQL Server Multi-AZ and Multi-AR (Cross-Region) Readable-Replicas for HA/DR, reporting, off-loading of primaries. On-Premise to AWS replication for Cloud HA/DR. Great product, fantastic support team! 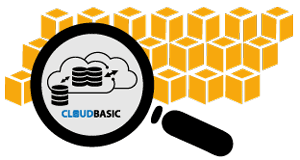 We’re a small, growing company so our AWS budget is tight and the CloudBasic replication product is the perfect solution for our needs. This product has allowed us to implement a reliable, near real-time replication solution without resorting to expensive SQL Server/RDS replication solutions. The CloudBasic product has proven to be fast, reliable, easy to set up, use and manage. CloudBasic is an AWS Rockstar! CloudBasic RDS AlwaysOn/Geo-Replicate for SQL Server HA/DR is an excellent product backed by great support. Using the pre-configured AMI we were up and running in minutes. Used CloudBasic to migrate SQL Server databases into RDS, followed by setting up cross-region Multi-AR RDS SQL replications for Disaster Recovery and Multi-AZ High Availability. It works well with RDS Multi-AZ, creates SQL Server read-replicas which can be used for reporting, data-locality and offloading of primary RDS SQL Servers. With help form the responsive CloudBasic support team we were able to migrate our databases with no down time. Setting up DR and HA was straightforward. I’m really happy I found your product as there are not many options for this sort of thing with RDS and SQL Server. Does what it says on the box, easy to use, amazing support. I found this tool when I was looking for a way to transfer databases between our development systems and our production systems. These comprised of a mix of in house physical SQL, EC2 SQL and and RDS. Cloudbasic Geo-replicate solved this problem. The product improvements I asked for were implemented within days allowing me to extend our use of this product into our devops continuous delivery model. As a consultant I look for affordable and easy to maintain solutions for my customers. This SQL Server HA solution features a simple web interface. I did not have to worry about configuring server clusters, log shipping etc. I was able to setup a DB instance replication to a cross-region AlwaysOn RDS in minutes. I was pleasantly surprised that MSSQL Web Edition is also supported. I had to call for support related to DB issues on my end. I was assigned a dedicated support representative who proved to be very helpful. I did an extensive testing to ensure that this product is very reliable. With this product I am planning to scale up my Cloud Disaster Recovery implementation efforts. The software delivers what it promises. Its easy to use. The support is fantastic. We were impressed how fast they reached out to us to want to help. The software is fast, economical and affordable. It doesn’t put any stress on your source and destination databases. It seamlessly does what it does and it does it well. I highly recommend this product to anyone. Easy setup. Various deployment scenarios. Works very well. Easy to use. Some minor issues need to be addressed. CloudBasic works great! Easy to setup and comes with outstanding support.